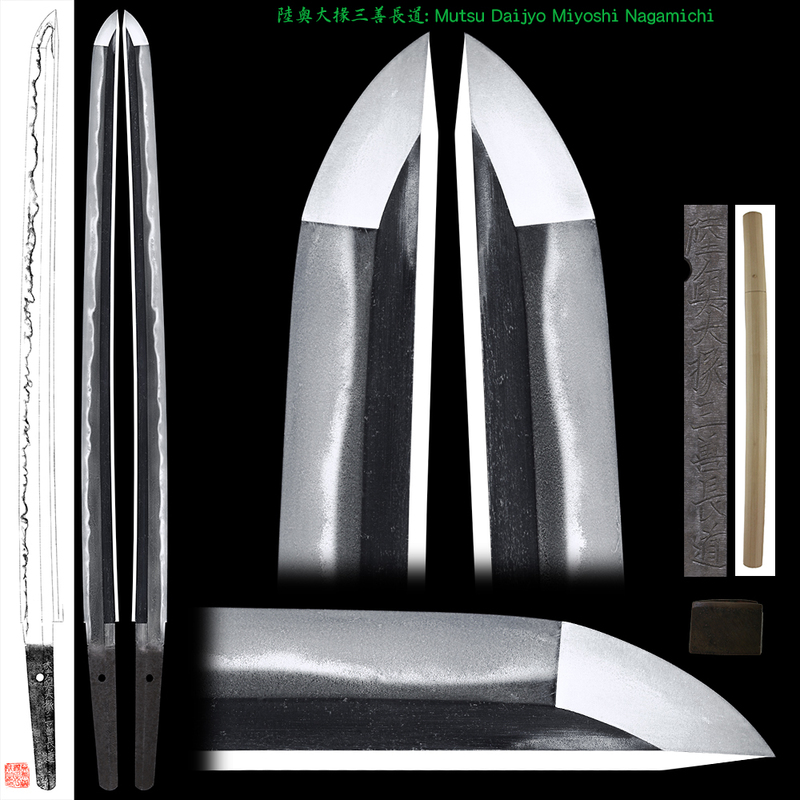 This Mutsu Daijyo MIyoshi Nagamitsu belongs to Jyosaku ranking. 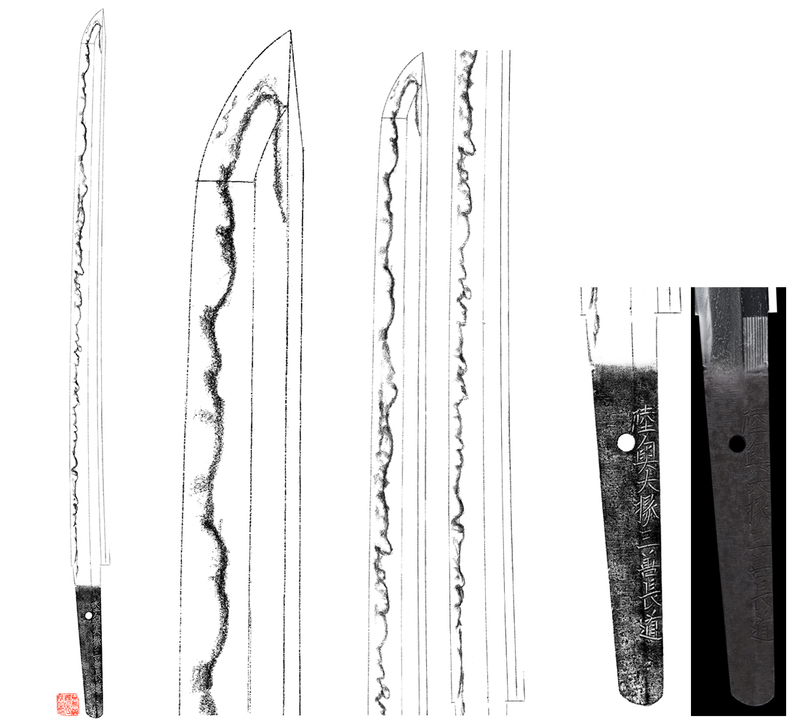 Blade length : 53.0 cm or 20.86 inches. 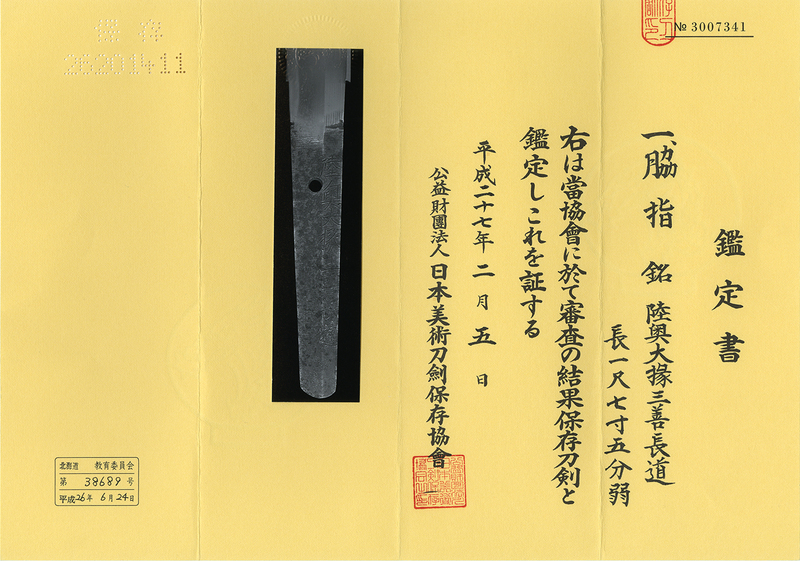 Width at the Kissaki : 2.18cm or 0.85 inches. The Chikei work is undulating in the Ha. Hamon : NIe Deki starting with Suguha from the Hamachi. of Sunagashi activities. Boshi is roundly curved Kotetsu like Boshi. who was called Michinaga in his youth. Accepting Mutsu-Daijo in 1659, he changed the name to Nagamichi. this katana shows a strong resemblance to Kotetsu who is a representative swordsmith of Edo-shinto. This work is distinctive Hamon of Kotetsu. It is very similar and the condition is good. Tsuba : Round shape iron Tsuba, aged man and landscape are engraved. Fuchikashira : Shakudo Nanako, the chrysanthemum is engraved with gold color. Menuki : Shakudo, the chicken is egngraved.